Even for fairly small businesses plastic waste management can be a challenge. We all have a responsibility to recycle as much plastic as we can – true, but it also makes financial sense to recover as much value from our waste as possible. This entails getting the best rebate prices and minimising the expenditure needed to sort, store and transport plastics. 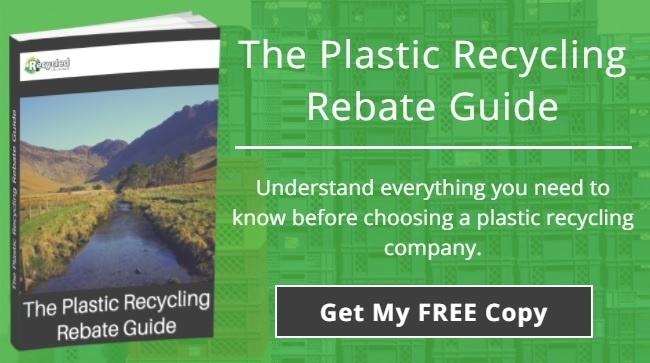 These tips can be implemented at most workplaces and help streamline your plastic waste management strategy, so it costs less and yields better returns. You will notice some of these tips involve active waste reduction rather than management. Most grades of plastic can be recycled, but some types of packaging are either non-recyclable or so expensive to reuse that it is rarely worth it. No company will take these types of plastic, leaving you the task of disposing them for landfill without receiving a penny. If you currently use a non-recyclable type of packaging, such as PCPET, stop doing so in favour of a recoverable material. Call us for advice on this. At the same time, insist your suppliers only use recyclable plastic packaging – as it is you who needs to deal with this, not them. The key to a successful plastic waste management strategy is sorting different types of plastics into single polymer bales. This makes it easier for your scrap buyer to sort and means they can offer you a better price. It also prevents higher grade plastics being polluted – and their value lowered – by contamination with lower grade polymers. Your job is made easier if your suppliers give you items made of a single polymer – e.g. bottles and bottle tops can both be made of the same plastic, instead of two separate ones. The more cleaning and sorting you can do on site, the better rebate you can claim. This does not have to involve a massive reorganisation of your workspace. We can help get a system in place that works for you. You’ll simply need a company policy for cleaning plastics and then separate bins for employees to place different grades of polymer. A commercial compactor will help save space while storing your plastics for collection. Most employees want to recycle plastics wherever possible, but many won’t recognise the difference between a PET and HDPE bottle, or between LDPE or PP packaging film. Set up picture boards and clear descriptions to avoid accidentally creating mixed bales and encourage your team to recycle more. Most of your scrap plastic will come from packaging materials and waste from manufacturing, but a lot will also be bought into the building by employees. Sandwich packets, disposable coffee cups and other items all contribute to your total volume of plastic waste, and much of this is simply binned. Experiment with policies to reduce your own plastic waste, such as banning plastic bags or insisting on reusable mugs. Extend these policies to contractors and agency workers as well as your own team. Some businesses worry about recycling some components because of the risk of reverse engineering by competitors. Don’t landfill or incinerate these parts. Invest in an inexpensive plastic guillotine to granulate them into small pieces before recycling them as normal. Some plastic buyers you approach may simply purchase plastic waste, leaving you to do the rest. They won’t advise you on the best waste management strategies and the rebate you get is anyone’s guess. Give these companies a wide berth and choose a transparent, proactive recycling partner instead. 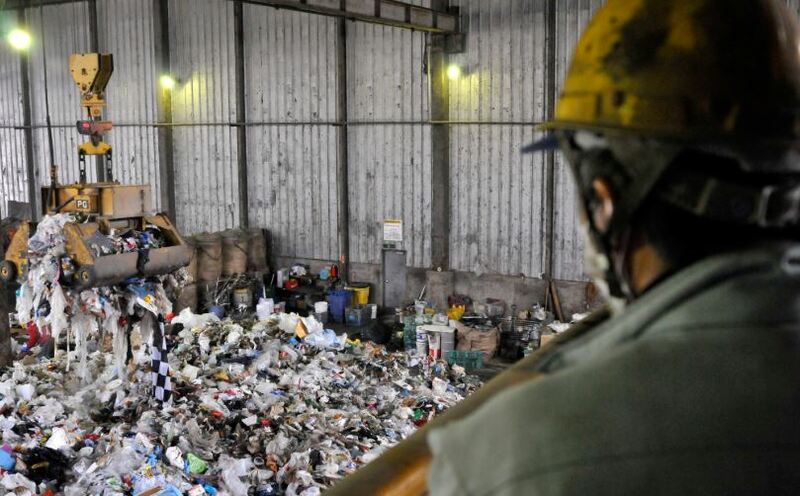 A company such as Recycled UK will help you put in place on-site sorting facilities to take the time and hassle out of plastic waste management AND ensure you get the best value for your waste. 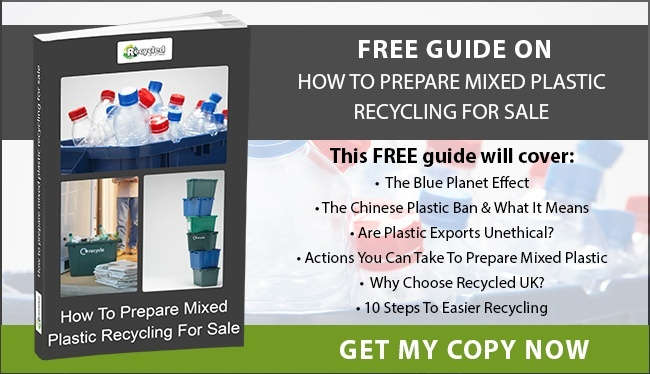 To find out more, look at our free e-book How To Prepare Mixed Plastic Recycling For Sale or call 0845 6032397 to speak with one of our team.